Genuine Tungsten Carbide (Cobalt Free)4mm 6mm 8mm 10mm are available. High Quality,Comfort Fit.Same Quality Ring As Jewelry Stores'.Free Gift Velvet Bag Packing. Classic dome Style High Polished Finish And Durable. To ensure you receive the authentic CROWNAL item, please only buy from seller:Crownal. 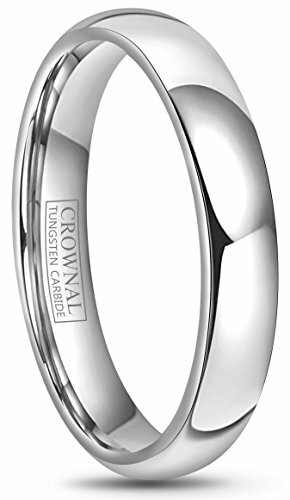 Crownal is not responsible for Replica or other inferior quality product.